If you’ve already got some bitcoin or are thinking of buying some, chances are you’re wondering what to do with it. As with many other facets of the cryptocurrency market, the option for bitcoin ‘storage’ are many and varied. You’ve probably heard the term ‘bitcoin wallet’ used before and it sounds fairly simplistic. 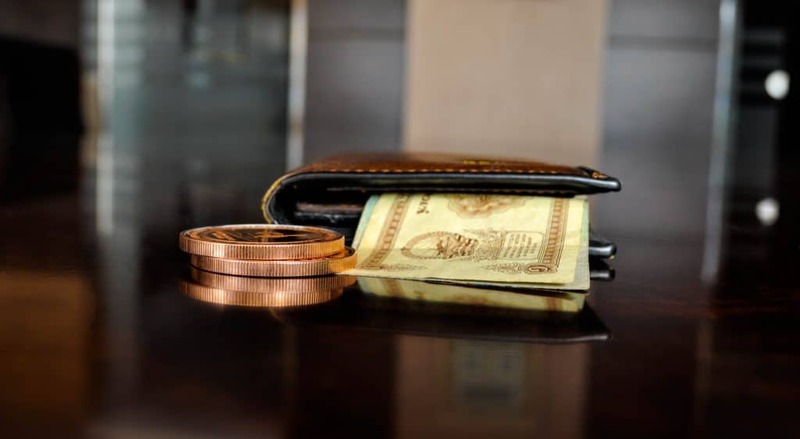 However, there are various different types of wallets available, each with their own pros and cons. It’s certainly easy to become overwhelmed with the plethora of options out there. Thankfully, with a bit of understanding of the different kinds of wallets and the best options for each, you should be able to find something that’s a good fit for your needs. In this post, we’ll reveal exactly what coin wallets are and why you need one. We’ll then compare some of the of the most popular options out there to help you decide which one is right for you. Let’s jump in! It’s tempting to think about bitcoin wallets as being similar to regular wallets. But this isn’t really a good analogy to start off with. Unlike an everyday wallet, where we keep coins and banknotes, coin wallets don’t actually store your bitcoin. Instead, they secure your funds by guarding your private keys. The private keys in turn provide the proof that you own your bitcoin. Aside from securing your funds, wallets offer a means to send and receive payments. You can transfer and receive funds to and from anywhere in the world at any time. 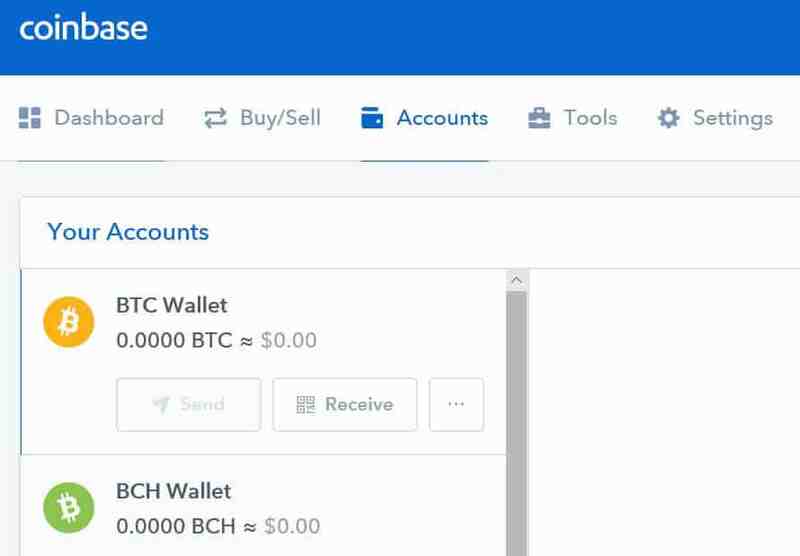 For example, a friend can send you bitcoin or vice versa or you can transfer bitcoin from or to a coin exchange or other wallet. For every transaction to a wallet, a unique alphanumeric bitcoin address is generated. In this post, we’re focusing on bitcoin, but many wallets enable you to store other cryptocurrencies, such as ethereum, litecoin, dogecoin, and other alternative coins. Ease of use: Beginners will probably want something that’s simple to set up and that makes it easy to move your bitcoin around. Security features: User control of private keys, two-factor authentication, multisignature accounts, and backup keys are some of the important features to look out for. Bear in mind, you don’t need to stick with just one wallet. You might want to store most of your bitcoin in a more secure hardware wallet, and keep some in a software wallet for convenient access for online payments. We’ll delve into these and more below. The range of bitcoin wallets available can be almost as confusing as the concept of bitcoin itself. Here we break it down into the main types on offer and explain their pros and cons. For each type, we’ll provide details of some of the most popular and reputable options currently available. Coin exchanges are places where you can trade (buy/sell) cryptocurrencies, in exchange for each other and/or traditional (fiat) currencies. These often have a wallet included as a built-in feature, but this doesn’t mean you have to store your bitcoin there. In fact, coin exchanges are considered one of the least secure places for you bitcoin. Within an exchange, you’ll have a separate wallet for each type of coin held. An article by Coinbase CEO, Brian Armstrong offers a good explanation of why exchanges don’t make the best wallets. There has also been a less than stellar track record for the security of exchanges. For example, in 2014, MtGox announced it had lost 850,000 bitcoin, leaving investors dry. More recently, Japanese exchange Coincheck lost a whopping $530 million to hackers. Nevertheless, here are a few of the most popular exchanges with wallets, should you wish to keep everything in one place. This is one of the most well-known coin exchanges and has been operating from San Francisco since 2012. It accepts many fiat currencies and enables trading of bitcoin, ethereum, litecoin, and bitcoin cash. Coinbase is open to residents of 32 countries but it doesn’t offer selling options in all of them. Notably, if you’re in Canada or Australia, you’ll only be able to buy through Coinbase. You can still send your currency elsewhere if you want to, for example, trade cryptocurrencies or cash out. This is an even older coin exchange, founded in 2011, and is also based in San Francisco. Its longevity is a testament to its reliability and this exchange has a solid reputation when it comes to security. It supports trading between several fiat currencies, including Euro, Japanese Yen, US Dollar, and Canadian Dollar, and more than a dozen cryptocurrencies. Kraken’s interface isn’t as modern-looking as some other exchanges so it may be off-putting to beginners. But once you get used to it, it’s actually very easy to navigate. If you’re looking for choice, BitFinex might be worth considering. Trading dozens of cryptocurrencies, this platform claims to be “the largest and most advanced cryptocurrency trading platform.” It has been around for about the same amount of time as Coinbase, having been founded in Hong Kong in 2012. It has seen some controversy after being the subject of a hack in 2016 in which it lost $65 million. That being said, BitFinex is considered secure and is a popular option for those looking for more trading flexibility. It supports peer-to-peer financing which means traders can leverage the funds of others while lenders can earn interest. A software wallet, sometimes referred to as a hot wallet, offers far more security than a coin exchange wallet. With this type of wallet, your private keys are stored on your device. As such, it’s important to back up software wallets in case your device is lost or corrupted. There is still the danger that your computer could be hacked, giving someone else control of your private keys. Most of the wallets on this list run locally on the device on which they’re installed. The major exception is Blockchain, which is cloud-based. GreenAddress offers both online access and native wallets. Cloud-based wallets are perceived to offer less security, but they are more convenient and don’t need to be backed up. Within its FAQ section, GreenAddress actually recommends only using its native wallets for improved security. GreenAddress is a popular wallet and is easy to use across platforms. It is a Hierarchical Deterministic (HD) wallet meaning its keys are derived from a 128-bit seed. If this sounds like it’s getting a little complex, not to worry. What it means for the user is that the wallet can be easily restored using a string of random words issued when you first start using the wallet. A neat feature of GreenAddress is its ‘watch-only mode.’ Here, you can use a separate set of credentials to simply view your wallet, without having to compromise security and privacy by using your regular credentials. This is ideal if you want to check funds on-the-go, for example when you’re connected to public wifi. Two-factor authentication is a common feature among many online applications and indeed is a welcome feature of many software wallets, including GreenAddress. This wallet also offers the option for multisignature transactions which involve manual confirmation for coins to be moved, enhancing security. Since advanced users may want to use hardware wallets for security but software wallets for ease of use, it’s ideal if the two are compatible. Indeed, GreenAddress can be used with some of the hardware wallets we discuss below, including Ledger Nano S And TREZOR. Like most other software wallets, it’s free to install and use, but fees are charged for transactions (paid to bitcoin miners). GreenAddress does offer web access, although it recommends only using the apps for improved security. Blockchain is a popular wallet that enables you to store both bitcoin and ether, the ethereum network token which is currently second to bitcoin in terms of value. Founded in Luxembourg in 2011, it’s one of the oldest and most widely used wallets. Blockchain is sometimes referred to as a web wallet since it is cloud-based. One good thing here is that the wallet doesn’t need to be backed up. Plus, you can sync across devices which is ideal if you tend to switch between, say, a desktop and phone. Although, having information in the cloud is arguably less secure than only having it on your device. This wallet is HD and offers a watch-only option, two-factor authentication, and a recovery key. Its ease of use is ideal for beginners. Apps are available for mobile use but the wallet can be accessed in a web browser and synced across devices. Mycelium is another popular HD wallet, although it’s currently only available for mobile. This is one of the most popular Android software wallet apps with a 4+ rating from almost 5,000 reviews in the Google Play store. It has a watch-only option similar to that of GreenAddress, and is compatible with Ledger and TREZOR hardware wallets. Mycelium offers support for connecting through Tor if you’re looking for additional privacy. Bread, previously known as Breadwallet, is headquartered in Zurich, Switzerland. Its HD bitcoin wallet app was originally only available for iOS but an Android version was released in 2016. It’s easy to use and ideal for beginners. This wallet includes the option to buy bitcoin, so it can double as an exchange. Bitcoin is the only cryptocurrency available. Copay is a product of BitPay, makers of a popular bitcoin payment platform. This HD wallet is run on open source software and has apps available for a range of operating systems. You can opt to secure with one or multiple signatures and can share accounts among users. This is a useful feature for group spending in which each member needs to approve the transaction. If you’re using the wallet for your business or want to introduce your kids to bitcoin, this could be ideal. Electrum is definitely a wallet for more advanced users and isn’t known for its ease of use. It is tried and tested, having been around since 2011, and is strong on the security front. It offers two-factor authentication, multisignature accounts, and account recovery. It even has a cold (offline) storage option if you want to go completely offline. Additionally, Electrum supports hardware wallets, including Ledger, TREZOR, and KeepKey. One of Jaxx’s main selling features is that it offers storage for dozens of cryptocurrencies. This could be a good option if you’re trading in lots of different coins and want to be able to store them all in one place. One downside is that this HD wallet is lacking some of the security features we’ve seen above, such as multisignature transactions and two-factor authentication. Exodus is a sleek desktop-only wallet that can handle more than a dozen different cryptocurrencies. The team behind this wallet has put a huge focus on the user interface to create a “trusted, warm feeling when using Exodus.” Presumably to avoid dampening the user experience with a lot of technical lingo, this company avoids talking much about security in its materials. However, it is considered a solid option, giving users full control of their private keys and offering a secure backup system. If you’re looking for additional security, especially if you have a large amount of bitcoin to protect, a hardware wallet might be the best option. These offer a form of cold storage and are sometimes dubbed as being pricey alternatives to software wallets. Although, with the top picks coming in at below $100 apiece, it doesn’t seem like too big of a stretch to protect your precious coin. Hardware wallets store your private keys on a small piece of hardware, sometimes similar to a USB key. The Ledger Nano S could easily pass for a simple USB key. This ensures that your private keys are protected from hackers and are not compromised if someone steals your computer, phone, or tablet. They are fairly simple to use so can be great for non tech-savvy users. You simply plug it into your computer and unlock with your passcode. 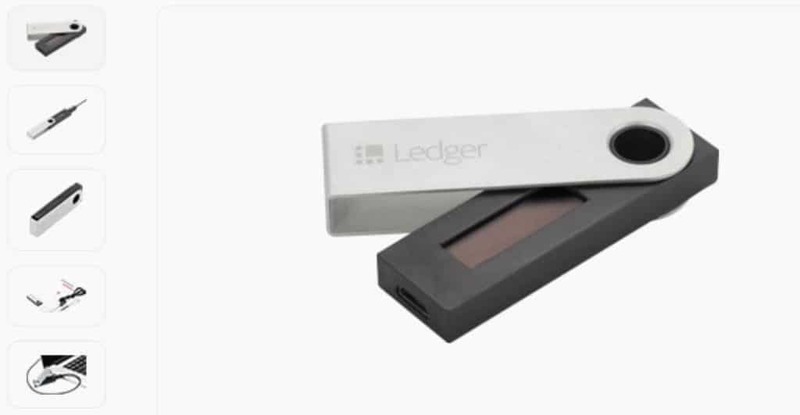 The Ledger Nano S can be used with bitcoin, litecoin, ethereum, and other altcoins and has memory for five different coins at a time. Once the device is plugged in, it is accessed using a pincode. It comes with a built-in display where you can check transactions, and buttons to use for confirmation. Backup and restoration is available in case you lose a device or simply want to create a backup copy. While the design of TREZOR is arguably less sleek and a little more conspicuous than the Ledger Nano S, it offers similar features to its main competitor. It comes with a built-in display so you can check and confirm transactions. It enables you to store multiple coins, including bitcoin, ethereum, litecoin, dash, and many more. It provides a recovery seed of 24 words to use in case you lose your device. KeepKey is another similar option to the two above. It is more limited in terms of the coins it can store but promises to add more soon. In terms of design, it’s the best-looking of the three. Plus, its larger screen size means less chance of potential error when reviewing transactions. The KeepKey wallet is pin-protected and provides a twelve-word recovery phrase. A hardware wallet is considered cold storage because it takes your private keys offline. A paper wallet takes thing a step further and ensures they are not stored on any device. A paper wallet is basically a piece of paper (or any material that something can be printed on) that has everything you need to access your currency. This information is often in the form of a QR code that can be scanned when you want to access your bitcoin. Although this seems rudimentary, it’s actually considered the safest possible way to store your bitcoin as it’s completely offline. Of course, with so many new businesses popping up in the cryptocurrency space, it’s difficult to keep track of who’s who. Scammers have capitalized on this and are creating faux wallets. These are basically designed to steal unsuspecting users’ bitcoins and other cryptocurrencies. One scheme even managed to net more than $3 million in stolen bitcoin gold. Before buying or downloading any type of wallet, make sure you do your homework to ensure it’s the real deal. Know your backup and recovery options: Many of the wallet providers we’ve talked about above offer backup and recovery options. Be sure to understand these fully before you start setting up your account as recovery keys (commonly 12-24 word random sentences) are typically only provided once. Take it offline: If you’re dealing with a large amount of bitcoin, it might be best to take it offline with a hardware or paper wallet. You can still use a software wallet for smaller amounts, ideally one that’s compatible with your hardware wallet. Take advantage of multisignature options: Multisignature doesn’t have to only be used for multiple users. You can require multiple private keys for transactions and even store them separately. Of course, you also need to take basic security precautions, such as keeping credentials and pin numbers safe and protecting your device.